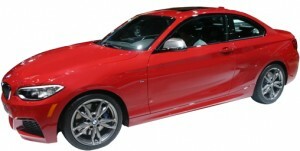 BMW has added Drive all-wheel-drive as an option for the 2015 2 Series Coupe. Only available with the 8-speed automatic, it's offered on the 228i and the M235i. The long-awaited 2 Series Convertible was announced at the LA Auto Show. It will be available as a 228i automatic in rear or all-wheel drive, or an M235i 8-speed automatic or 6-speed manual in rear-wheel drive, only. 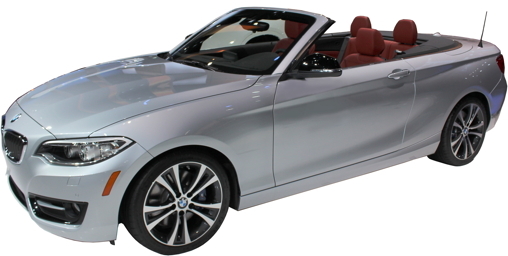 The M235i Convertible doesn't offer all-wheel drive. There are no significant changes to the 3 Series Sedan, Gran Turismo or Sport Wagon for 2015. 435i xDrive joins the 428i, 428i xDrive and 435i RWD models. Nothing much else changes. 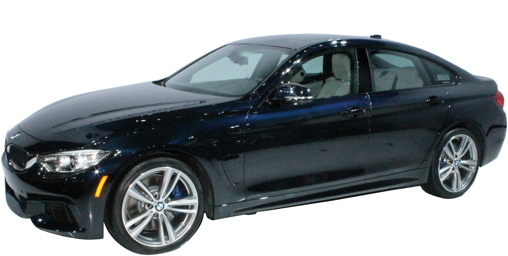 To further confuse and diffuse the market (or provide more choices, depending on your point of view), the 4 Series Gran Coupe was introduced at the 2014 New York Auto Show. 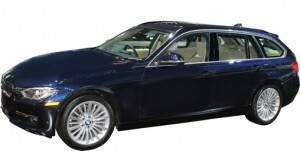 Seemingly in contradiction to its name, this added a 4-door hatchback variant to the 4 Series. So what makes a 4 Series Gran Coupe different from a 3 Series Gran Turismo? 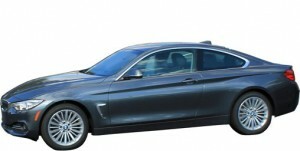 The 4 Series Gran Coupe comes in 428i and 435i variants, skipping the 320i Sedan's 180 horsepower 2.0 engine. 3 Series Gran Turismo: Check. The 4 Series Gran Coupe also offers xDrive all-wheel-drive, but doesn't offer a manual transmission. 3 Series Gran Turismo: Check. 4-wheel vented disc brakes with ABS in two sizes. 3 Series Gran Turismo: Check. Standard heated, power, auto dimming outside mirrors. Standard rain-sensing wipers and automatic headlights. Standard power liftgate. Homelink garage door opener. Dual-zone automatic climate control. 3 Series Gran Turismo: Check. Standard frontal airbags, front knee airbags, front seat side airbags, front and rear curtain head airbags, front seatbelt pretensioners and Dynamic Stability Control. 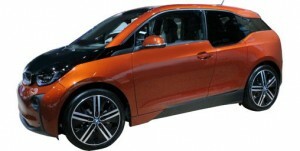 Programmable daytime running lights, BMW Assist eCall. 3 Series Gran Turismo: Check. Optional LED headlights, headlight washers, heated front and rear seats, heated steering wheel, rear view camera, Side and Top-View cameras, Park Distance Control, Parking Assistant, Navigation system with real-time traffic, color heads-up display, Comfort Access (hands-free entry), hands-free trunk-lid opening (kick foot under bumper), Active Cruise Control with Stop-and-Go, The 4 Series Gran Coupe has 1.5" less front headroom and 1.3" less rear headroom than the 3 Series Gran Turismo. It also has 13 cubic feet less cargo space and 10 cubic feet less passenger room, because the biggest difference between the two is the swoopy, low-slung stance of the 4 Series Gran Coupe, which sacrifices much of the utility of the 3 Series Gran Turismo. On the outside, the 4 Series Gran Coupe is much more closely related to its Coupe and Convertible siblings, with the same 110.6-inch wheelbase and nearly identical 182.5-inch overall length, 4.4 and 7.4 inches shorter, respectively, than the 3 Series Gran Turismo. Frontal Collision Warning and City Collision Mitigation have been added as options. Automatic pretensioning front seat belts which tighten in the event an accident is likely are now standard, similar to those in the 7 Series. Alpina B6 Gran Sport is a new variation on the relatively new 6 Series Gran Sport. With almost 100 more horsepower, the B6's 4.4 V8 makes 540 horsepower and 540 lb.-ft. of torque. It is still a little less powerful than the M6. Heated front seats and satellite radio are now standard. Front Park Distance Control is now optional; rear is still standard. The automated Parking Assistant is now available. The navigation system is now optional, part of the $2500 Technology and Driving Assistant Package. 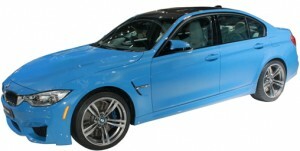 This replacement for the M3 Sedan is all-new, based on the new-for 2012 3-Series Sedan. It abandons the old M3's high-strung V8 for an inline six that seems similar to the one in the 335i, but with an extra turbocharger and 125 more horsepower. That's 11 horsepower more than the previous M3's V8, and also a lot more torque. Brakes as large as 15.7" are available in carbon fiber ceramic rotors. The M4 replaces the previous M3 Coupe and Convertible. It shares its engine, suspension and brakes with the new M3. 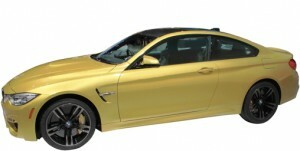 A very limited 30th Anniversary M5 (300 worldwide, 30 for the U.S.) will cost $138,275, over $40,000 more than a standard M5. To make up for this, it gets 600 horsepower, making it the most powerful M ever. Comfort Access is standard, now. 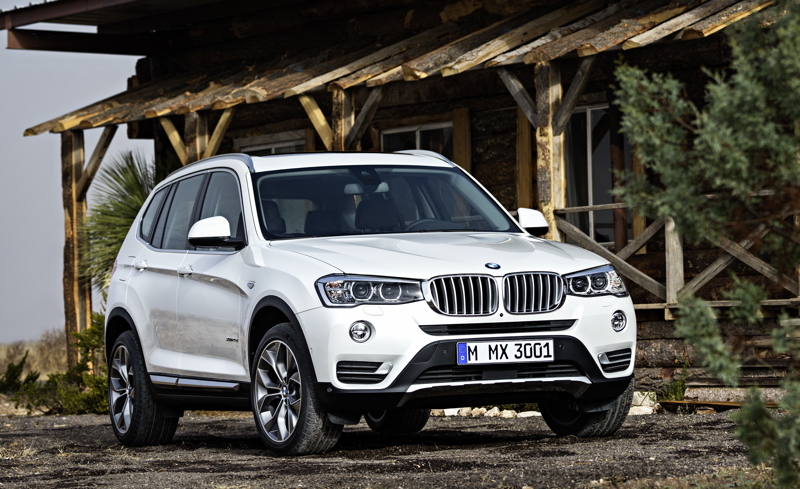 The X3 is all-new for 2015. 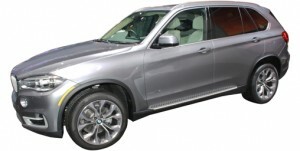 Introduced at the New York Auto Show in April, the X3 adds an xDrive28d diesel model with 180 horsepower and 280 lb.-ft. of torque from its turbo 2.0 diesel 4 cylinder engine. 27 city and 34 highway MPG is considerably better than the Buick Encore, Lexus RX450h, Mercedes GLK250 BlueTEC or Grand Cherokee Diesel. 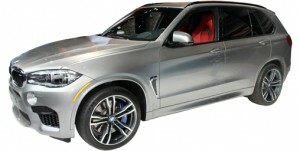 The X5 was redesigned just last year. No real changes. 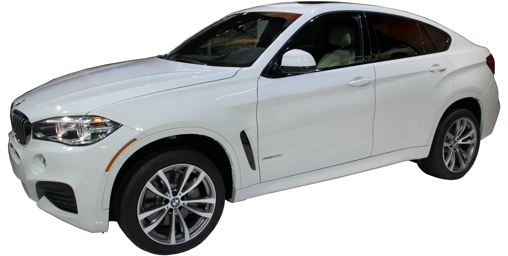 X5 xDrive35d Diesel improves city mileage 1 MPG, up to 24 city/31 hwy. X5 xDrive50i turbo V8 improves city mileage 1 MPG to 15 city/22 hwy. The high-performance variant of the X5 (introduced last year as a 2014 model) is now available, and has a 567 horsepower twin turbo V8. The X6 is refreshed inside and out. It is 1.3 inches longer than last year. 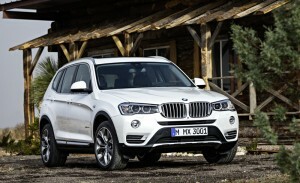 On the powertrain front, a rear-wheel-drive sDrive35i is now available, breaking the X6 All-Wheel-Drive monopoly. 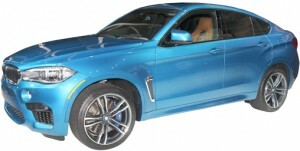 xDrive50i is up 45 horsepower and 30 lbs.-ft. in torque for a total of 445 and 480. The X6 will now have Stop/Start, preventing the wasting of fuel idling in traffic and at stoplights. The high-performance derivative of the X6 will produce 567 horsepower from a 4.4-liter twin turbocharged V8 with direct fuel injection. Z4 sDrive35i will no longer be available with a manual transmission, leaving the Z4 sDrive28i as the only version to offer one. 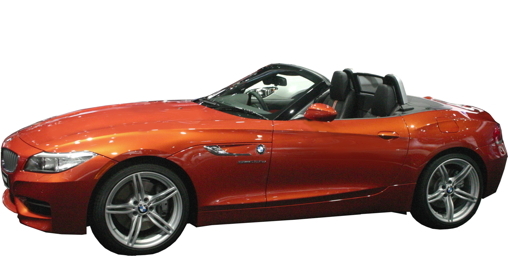 The EPA website shows fuel mileage ratings for a 2015 Z4 sDrive35i Manual, but these certifications are often routine and continue to show discontinued models after they have been removed.